On the night of Saturday, 8 July last, the Trade Centre at Morne Rouge was packed to capacity. There was standing room only. It was the night when the 14th Hubbards Legends in Concert organised by the main promoter Godfrey Augustine was taking place. As usual, the show started at exactly 7.30 pm which was the scheduled starting time. Undeniably the top artiste of the night was Tobago Crusoe who is based in the UK. He reminded me somewhat of calypsonian ‘Relator’ from Trinidad. He sang captivating calypsos and accompanied himself on his guitar. He interspersed his singing with a wide variety of jokes which had the audience in a tizzy. 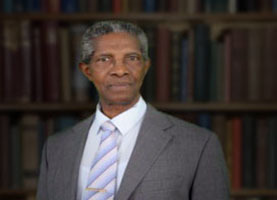 He sang such songs as ‘Calypso’ which detailed how calypso was used over the years to record historical events such as the various wars, the 1930’s labour unrests in Trinidad and other events. The song ‘Viagra’ which depicted the vulnerabilities of man was a crowd pleaser. He then sang ‘Something Wrong’ to which the audience chimed in; ‘Dear Daughter’, and ‘Worldwide Recession’. Tobago Crusoe has a natural calypso voice and a most pleasant personality. Following Tobago Crusoe was local calypsonian and present Calypso Monarch, ‘Scholar’ who appeared as a guest artiste. Scholar celebrates his 25th anniversary as a calypsonian this year, 2017. He sang his 2017 calypso ‘You Lift Me Up’ which song may well help to enable him to once again win the upcoming monarchy competition. With a good second song, Scholar will be ‘hard to beat’ again. ‘Cro Cro’ from Trinidad then made his appearance. His first song was ‘Whop! I chop out your hand’ which indicated that the hands of children must be chopped off if they fail to be serious with their education. I never liked this song because to my mind it promotes violence just as the one he sang about the Opposition leader in Trinidad. Cro Cro also tends to be too vulgar as when he sang a picong about fellow calypsonian Aloes. He also sang one on ‘Black Identity’ which suggested that people should indicate their origins by taking up the appropriate names and ‘Travelling Woes’ which noted how people load up travelers with various items when they are travelling. ‘Johnny King’ then made his entrance and delivered his legendary calypso ‘Nature’s Plan’. The crowd loved it. He then sang the popular ‘Rubbing up, Rubbing up’, ‘Take your Belt off your Waist Old Man’ ‘I don’t want no other Woman but You’ which songs inspired a lot of dancing from a number of persons. He then sang yet another legendary calypso entitled ‘Appreciation’ to which the crowd joined in in singing. On that legendary night he seemed to have gotten carried away and did not want to leave the stage. He talked too much during his performance and the audience got restless. He made the mistake by asking a Grenadian crowd ‘You want me to go?’ To his disappointment the answer was ‘Yes’. He had failed to recognise when the time was right for him to leave, and his performance unfortunately reached an anti-climax. Former Grenadian Calypso Monarch, ‘Reggie Charles’ originally from Cemetery Hill in St George’s, now based in the USA then graced the stage. He started off with a beautifully rendered ‘Hello Grenada, How are you doing?’ which went down quite well. He then went into his monarchy winning calypso ‘Those Days’ which reminisced about many positives of past days. He then sang ‘War’ which told the stories of horrible world atrocities. He culminated with ‘The Caribbean’ which wished for a wind of change in the region and ‘Lucy’ which were up beat tempo songs. Out of Barbados came ‘Red Plastic bag’ who won the monarchy there on several occasions. He sang ‘I feeling to hold on and dance; ‘Once upon a Wine,’ ‘Wining on the wrong Gal and I like it’ ‘Ragga, Ragga, Ragga’ and ‘Spontaneous’. The crowd was really roused to a dancing mood by Red Plastic Bag especially so with the Ragga rendition. Altogether the show held on to its ends. It was quite excellent and most entertaining. Godfrey Augustine and his team, and sponsors must be highly complimented for a job which was perfectly executed.